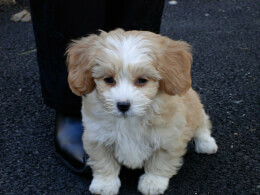 The Shih-poo is a hybrid produced from cross-breeding the Shih-tzu with the Poodle, hence the portmanteau of Shih-poo. 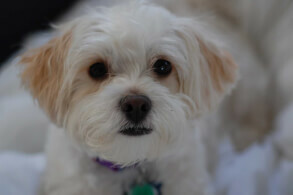 Due to the lack of formal recognition from the American Kennel Club (AKC), the Kennel Club (KC), the Canadian Kennel Club (CKC) and the Federation Cynologique Internationale (FCI), a number of names and pronunciations have emerged to describe this hybrid: Shi-Poo, Shipoo, Shihpooh, Shi Poo, Shipooh and Shitzpoo are some of them. 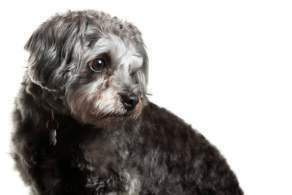 The Shih-poo is a non-sporting dog that, due to the three varieties of Poodle (Toy, Miniature and Standard, as defined by the American kennel Club) by which it may have been produced, comes in a wide range of sizes, but they are often bred with Toy Poodles to keep their size small. 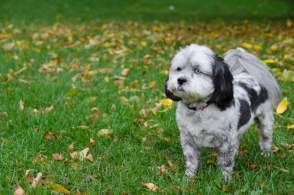 The Shi-Tzu Poodle mix is one of many popular mixes whereby the hypoallergenic and other health aspects of the Poodle helps to lessen the other breed's many concerns — in this case the Shih-Tzu's well-known respiratory problems. This cute and cuddly hybrid is recommended for apartments and people who have the time to attend the frequent brushing (they don't shed much, if at all) and demand for companionship. 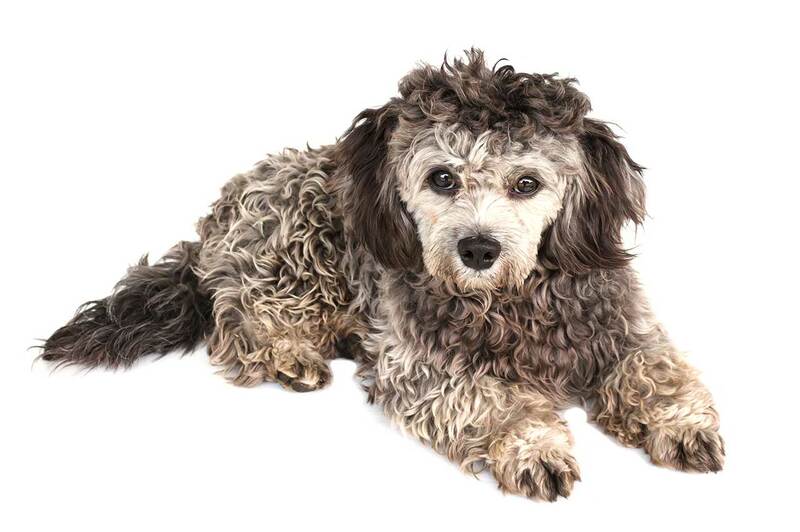 The Shih-poo may vary greatly in size depending on the variation of Poodle with which the Shih-Tzu was breed, and Poodles come in Toy, Miniature and Standard sizes. 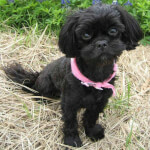 Nearly all breeders tend to use Toy and Miniature Poodles as most people want very small dogs, and as Shih-Tzus are small dogs as well, the best results usually involves the two smaller Poodles. Like any hybrid, a Shih-Tzu's personality and appearance will depend on what it inherits from its Shih-Tzu and Poodle parents. 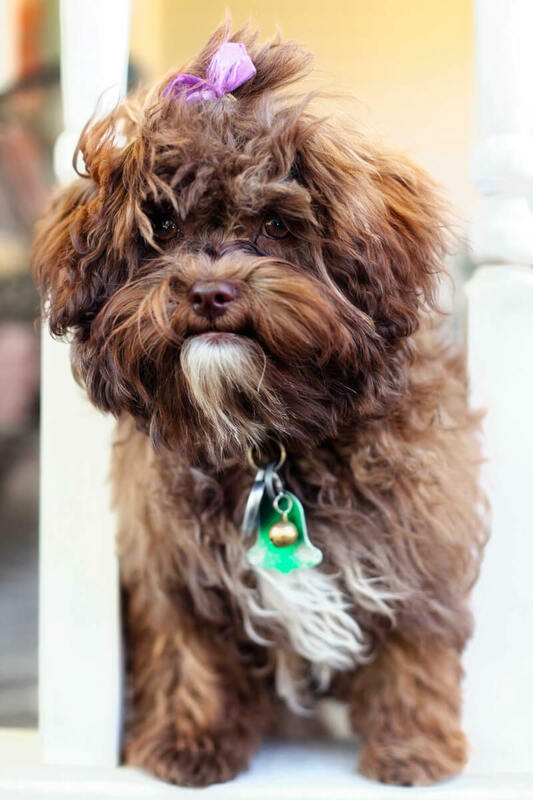 Some Shih-poos may have more Shih-Tzu whereas others may have more Poodle — and then there will be those that get a perfect mix of both breeds. Until they are grown, however, it will not be easy to determine how much of which parent your pup will have inherited, for even those in the same litter will almost never get the same traits as the others. Nevertheless, most Shih-poos tend to be inquisitive, highly intelligent, a wee bit stubborn but almost always happy to be a companion. They aren't barkers, for the most part, but they do make good watchdogs as they are alert. They do not make good dogs due to their small size — although they don't seem to know they are small dogs; they get their attitude from several centuries of the Shih-Tzu parent being pampered by royalty and a fearlessness from their hunter parent, the Poodle. 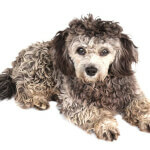 Your Shih-poo can come a great variety of colors and combinations. They may be black, white, brown, apricot, tan, cream, red, sable or gray as well as a combination of two or three of these colors or even brindle (dark, irregular streaks) or particolor (white with another color). 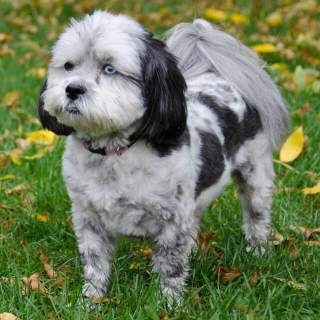 While relatively pure white ones are common, all-black Shih-poos are rather rare, however, as they will almost always have white markings or a brindle pattern across the back. Shih-poos tend to be small dogs, but their size is dependent on the variety of Poodle with which the Shih-Tzu were bred — although most Shih-poos are bred from Toy Poodles so as to keep them as small as possible. 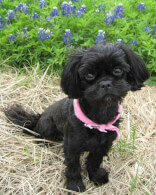 A full-grown Shih-poo, however, often reaches from 8 to 11 inches in height and should weigh between 7 and 15 pounds. 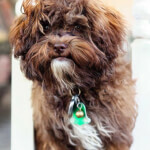 If there were one word to describe the Shih-poo temperament, it would be "affectionate"! They are extremely playful, a bit of a clown and always ready to be at your side, in your lap or carried. They make great companion dogs, get a fair amount of exercise on their own and will be happy to be at your side all day and all night. They live to please and will love you all the more when they get their short daily walk. Like any dog, the Shih-poo personality is best when the puppy is socialized early — usually starting at about six to eight weeks old. At this age, they will be highly cognizant of their world, and along with positive reinforcement training techniques, this early socialization will help make them into the perfect companion pet. It should be noted that they may be a little difficult to house train, however, and their stubbornness may carry over into their maturity. This can be mitigated by learning how to give her what she wants, and this is usually treats, praise and play afterward. Remember: they have one parent who for nearly 2,000 years was pampered by royalty and whose breed for most of that time was not allowed to be in possession by anyone not of the royal families that bred them, and it is possible that that precious personality is one of many possible Shih-poo characteristics. 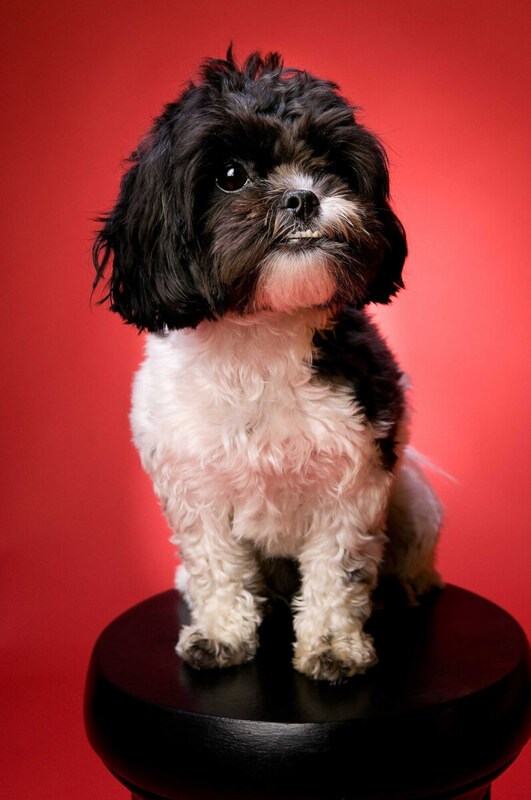 Although Shih-poos are very playful, friendly and energetic, they are small dogs that are better suit for mature children who know to be careful. Toddlers and smaller children may not understand that they may cause injury, and so they should be watched in the company of your Shih-poo. 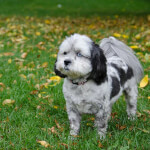 Below are pictures and images of the shih-poo. 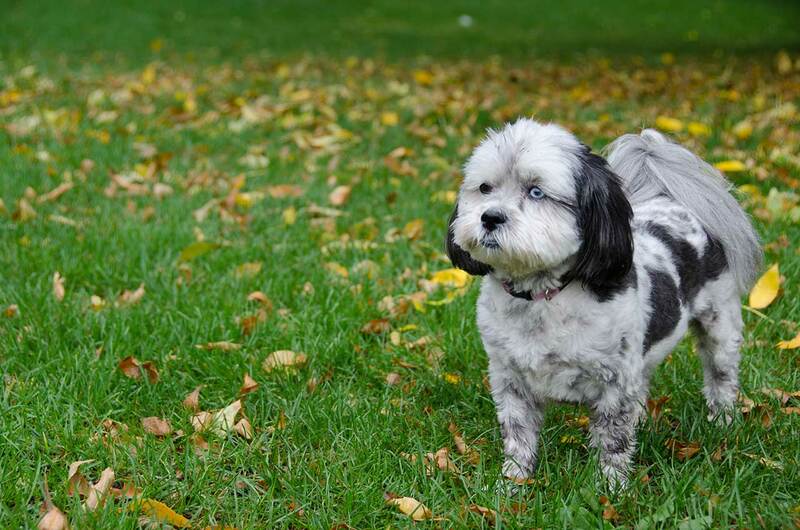 Shih-poos are indoor dogs who prefer cooler climates. They don't bark much, are very friendly but aware of anything unusual, and can have separation anxiety. 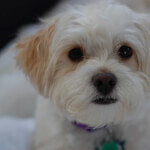 Although they are perfect for small apartments, your Shih-poo will also be happy in a large home in which they can roam. 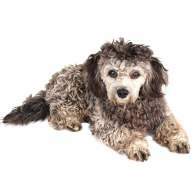 The Shih-poo hypoallergenic aspect is not entirely true; they do shed a very little amount. Shih-poos have far fewer health problems than most purebred dogs — including their parent breeds, the Shih-tzu and the Poodle. Still, there are concerns: ear infections, skin allergies and teeth problems. They must also have closely monitored diets as they are highly active dogs on their own and will eat as much as they can, which can lead to inactivity, obesity and more problems. As this is a relatively new hybrid, there may be other concerns that have not yet been discovered. 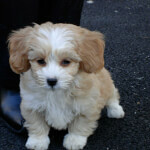 Kept healthy and happy, your Shih-poo has a life expectancy of about 10-15 years.